With the holiday season upcoming, and what we expect to be a busy start to 2017, our first upgrade of equipment was getting some new cylinders in stock. 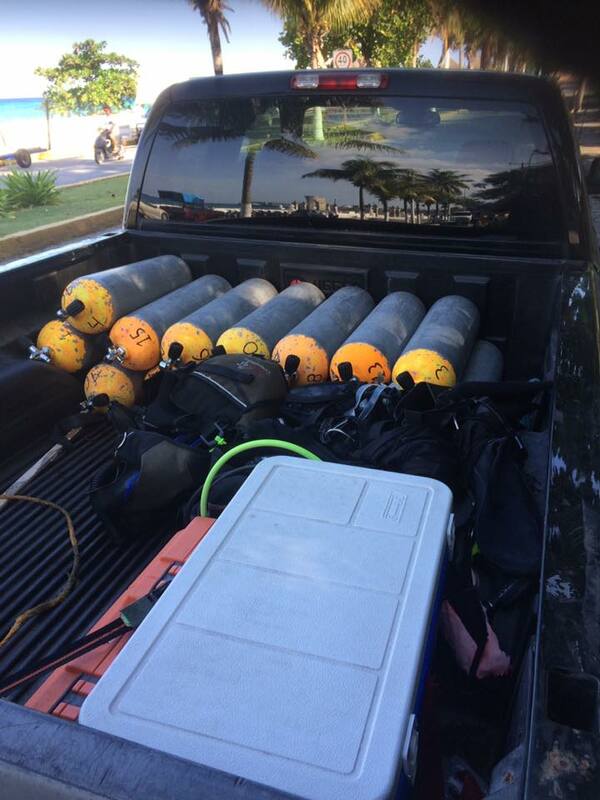 We were operating with around 20 cylinders of our own, and needing to rent the remainder from a local shop. This is an all-to-common scenario on the island, however, and when the high-season rolls in there is a shortage of available rental cylinders. 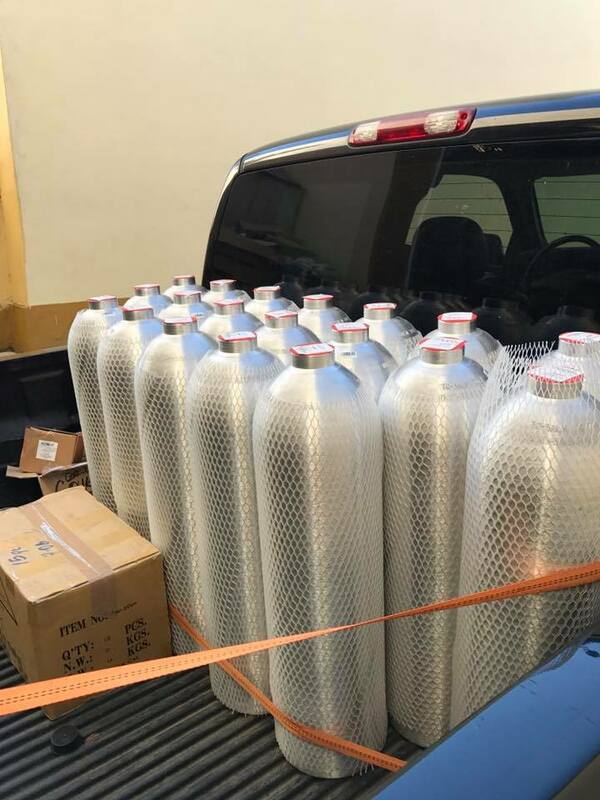 Rather than fight this battle, we invested in 30 new 80 cuft/18liter aluminum cylinders of our own. On the morning of December 24 I left the island and headed to Cancun. 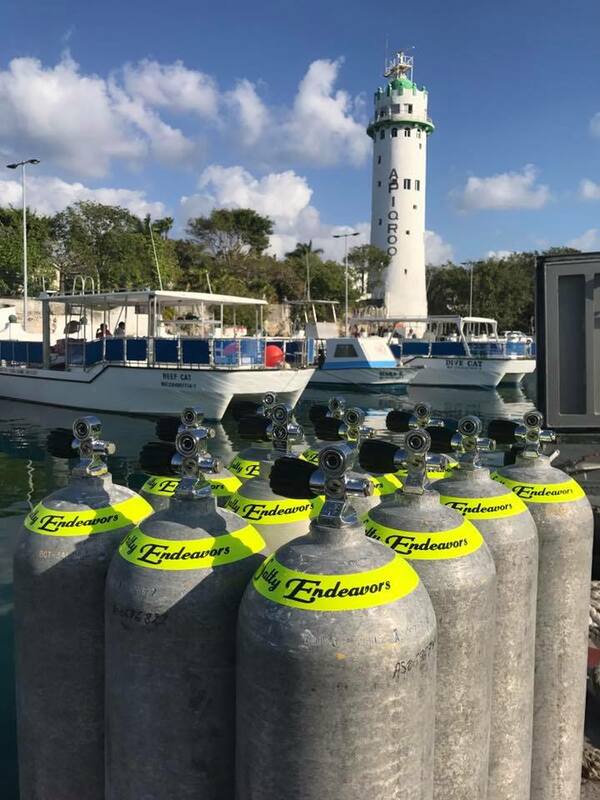 With Mexico a country heavily dominated by Catholicism I was a bit surprised our ScubaPro wholesaler was operating on Christmas Eve, but they were. And those shiney new bottles above were my Christmas gift to our our future guests. I didn’t have any time to waste, however, as the bottles needed to have some sort of identifying marking on them in order to get filled, or perhaps I should say returned to me after filling. 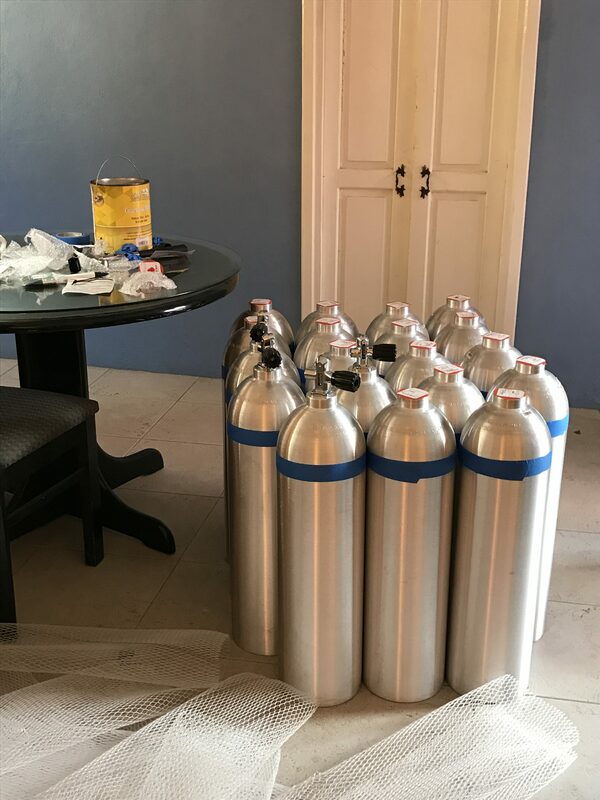 So I spent my Christmas Day painting scuba cylinders. Yes, really. Believe it or not but the local Mega grocery center was open and they actually sold paint. For the record, it turned out awful. So awful in fact I won’t even show a photo of it. Lol!